Hundreds of migrants may have drowned in the Mediterranean Sea in recent days, bringing the number of victims so far this year to more than four times last year’s total, the International Organization of Migration said Monday. About 500 people, mainly from Egypt, the Palestinian territories, Syria and Sudan, are feared dead after their vessel was allegedly sunk by human traffickers off Malta’s coast last week. Another 200 may have drowned off the coast of Libya over the weekend, an IOM spokesman said. The vessel off Malta appeared to have been rammed by human traffickers after the passengers refused to board another ship that was considered not seaworthy, the IOM spokesman said. Details weren’t yet clear, the spokesman added. Pope Francis has done a great service by bringing this issue into the limelight. More must be done to avert these humanitarian catastrophes. This month, as I have been hearing of the thousands of children fleeing Central America, the story of one mother and her murdered son keeps coming to my mind. About ten years ago, when I worked as an immigration paralegal while serving as a Jesuit Volunteer in Los Angeles, I met with a Salvadoran woman—I’ll call her María—whose son had just been killed in El Salvador. I wasn’t able to help her, but I promised that I would tell her story when I could. Around 1985, Maria, a new mother, fled the civil war raging in her country. She fled carrying her baby Isaac with her and, after a treacherous journey, she reached Los Angeles. She had no choice but to live in the shadows, finding whatever work she could. She couldn’t apply for asylum because she knew that at that time, the US government was systematically rejecting the asylum claims of Salvadorans and Guatemalans (while routinely granting the asylum claims of Cubans and Nicaraguans for ideological reasons). At the time, our government supported the Salvadoran and Guatemalan regimes, while opposing the Cuban and Nicaraguan regimes. This prevented people like Maria from getting a fair day in court. Over the course of the wars in El Salvador and Guatemala, about 75,000 Salvadorans, mostly civilians, were killed by their government, and about 200,000 Guatemalans, mostly civilian indigenous Mayans, were killed or disappeared by their government. In Guatemala, the military admitted to razing 500 villages, purposely burning fields to cause widespread starvation. In El Salvador, a generation grew up finding tortured bodies of men, women, and children killed by the death squads on the streets each morning. So, like countless Central American mothers, she survived in the undocumented world. She worked several jobs at a time, hoping to make a better life for herself and, most importantly, her children. Although she was able to bring in enough money to keep a roof over her family’s head and put food on the table, she didn’t have the capacity to protect them. When these child refugees were alone in their neighborhoods after school, the African-American and Chicano gangs started to attack the Central American kids. So the Central American kids began to band together to protect themselves, and quite soon, these groups morphed into more violent gangs that in turn preyed on their neighbors– the most well-known being the Mara Salvatrucha 13 and 18th Street gangs. During this time, religious organizations were stepping up to demand that refugees not be deported to their deaths. In 1991, this resulted in the American Baptist Churches v. Thornburgh settlement, which gave Salvadorans and Guatemalans a real chance for their asylum claims to be heard. Maria was able to get a work permit and start emerging from the shadows. However, the process was so slow that claims didn’t start being seriously adjudicated until around 2000, through another law, the Nicaraguan and Central American Adjustment Act (NACARA). But before NACARA could have its intended effect of providing legal status to the Central Americans who fled their governments, white supremacist Timothy McVeigh blew up the Oklahoma City Federal Building. Taking advantage of this national tragedy, Congress slipped in draconian changes to the immigration system that had very little to do with the real threats of domestic terrorism. It stripped away most of the discretion judges had to decide whether a person deserved to stay in the United States and made a whole class of non-serious crimes for which probation and fines were the normal punishment into automatically deportable defenses. Concretely, this meant that the same crime had a radically different punishment depending on if you were a citizen or not. A US citizen would be monitored by the criminal justice system for a little while. For the exact same crime, a non-citizen would be deported. Imagine two brothers, the older one who fled on his mom’s back as a baby, and the younger, born a year after she arrived in Los Angeles. Both are convicted of joyriding together. The younger kid might do a few months in jail, get a slap on the wrist, complete probation, and get on with his life. The older kid who fled on his mom’s back before he had any memories of El Salvador would be sent back to a country of which he had no knowledge. Quite possibly, all his relatives would be dead or gone, and he might not be able to speak Spanish. Very often, kids with no gang involvement whatsoever found themselves in San Salvador without the slightest clue as to how to survive. Many connected with the gangs because, again, the gangs gave them protection in their new environment. Now, gangs started to spread throughout Central America and Mexico as deportees started their own gang outposts, still centrally managed by gang leadership in Los Angeles. But unlike in the United States, law enforcement in Central America is essentially non-existent. While gangs in the US make life horrible for countless neighborhoods, they do not compete against the government for power and control. In Central America, they do. While the NACARA application for her and Isaac was pending, and the gangs were spreading throughout the continent, Maria continued raising her son in a rough part of LA. He was friendly with the neighborhood boys who had joined a gang, but he never got involved. Isaac, 17 at the time, did something stupid—I forget the details, but it was something like simple theft or joyriding—and ended up in jail. While serving his sentence, he took advantage of the available programs and completed his GED. The facility allowed a graduation ceremony, complete with a rented satin blue cap and gown. While a US citizen would have been released after those few months, as an immigrant, this conviction meant nearly automatic deportation. He was transferred to an immigration prison and was housed with members of the same gang that controlled his neighborhood. Representing himself without the assistance of a lawyer, like the majority of immigrants in detention, he pled with the judge for his life, telling him that he would certainly be killed if he were returned to El Salvador. The judge told him that he didn’t believe him, that he wasn’t credible. He was deported. When he landed in the airport, he made his way to his grandmother’s place–to family who were, more than anything, strangers to him. Members from a local gang were informed by their California contacts that Isaac was associated with a rival gang. Less than two days after arriving, he was fatally shot. A few months before Isaac was deported and killed, Maria had finally received her permanent residency, her green card. This meant that for the first time in nearly 20 years, she could finally travel to El Salvador. So she traveled to the country she had fled in order to bury the son she had carried on her back so many years ago. She brought photos of her son along with his immigration papers, including the transcript of his deportation hearing. When returning to the US through Texas, because of these papers, she was detained for three days by immigration officials before finally being released. As an American citizen who believes strongly in our Constitution and rule of law, I have never felt more powerless than I felt listening to her. She wanted to hold the government accountable for refusing to listen to the pleas of her son. I could offer her nothing. I sat in silence and grief with her as we looked at a picture of her son celebrating his GED, and then the pictures of this young man in his casket. We can do better now. We can listen to the children fleeing for their lives, who are terrified by the prospect of returning. We can believe their accounts of the dangers they face in their home countries. The policy changes under consideration by President Obama and many Republicans and Democrats in Congress seek to fix the problem of this influx by limiting access to the courts and, in one proposal, allowing Customs and Border Patrol Agents to screen Central American children for possible refugee status. Imagine if you are a 10-year old Salvadoran girl who has been raped by the police in her country; are you going to immediately reveal your trauma to a police officer, or will you be too scared to show that you may have a claim for relief? If our country makes changes like this, we will be returning to the dark strategies of the 1980s, when we deported Central Americans not by giving them their day in court, but by refusing to hear them out. To fix the immediate problem in a way that is consistent with our values of equal protection under the law, the government should do three things. First, it should significantly increase the number of immigration judges. Right now, 250 immigration judges each have an average of more than 10,000 cases. Increasing the number of judges will give them the time they need to consider all their cases, and processing time will be cut down by years. In almost half (47%) of the cases in which the child was represented, the court allowed the child to remain in the United States. The child was ordered removed in slightly more than one in four (28%) of these cases. And in the remaining quarter (26%) the judge entered a “voluntary departure” (VD) order. Where the child appeared alone without representation, nine out of ten children were ordered deported — 77 percent through the entry of a removal order, and 13 percent with a VD order. One in ten (10%) were allowed to remain in the country. Third, for Guatemalan children, many of whom seem to be coming from indigenous Mayan regions of the country, competent indigenous interpreters and legal assistants need to be available. Many of these children have a basic understanding of market Spanish, but cannot articulate the basis of their need for protection in Spanish. They need to have Mam, Quiché, Ixil, and other interpreters. Ultimately, the answer to the new refugee crisis on the border is to support efforts for peace in these countries. But in the meantime, we need not further destroy our Constitutional principle of due process under the law. Peace is not the product of terror or fear. Peace is the generous, tranquil contribution of all to the good of all. It is right and it is duty. El Salvador. Honduras. Guatemala. 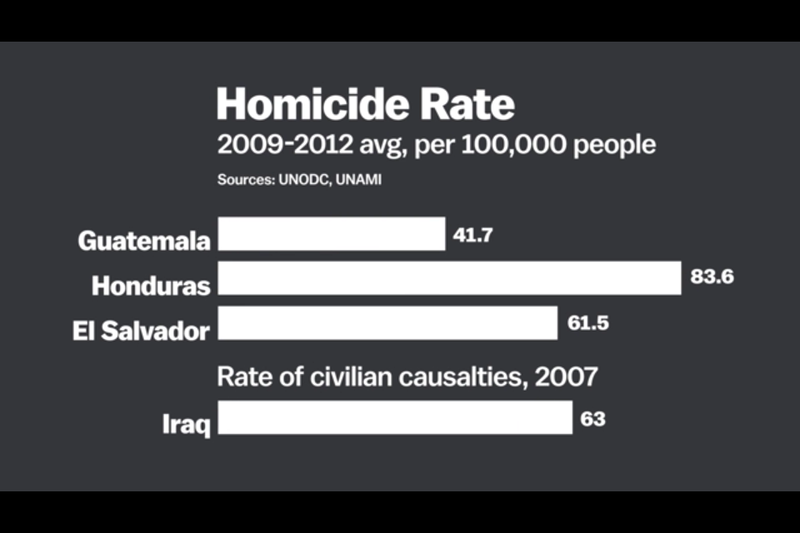 Three countries in Central America with increasing, rampant gang violence and homicide. These are also the 3 countries from which the greatest influx of unaccompanied minors are crossing the border, fleeing to the United States. If we look at the graph, it is clear that the increase of unaccompanied children crossing are not coming from Mexico, but through Mexico to the United States. These children and those who are traveling with their mothers are fleeing from horrific violence and insecurity. I want to be clear from the very beginning of this post – these children are refugees. So why is it that every time I turn on the television I hear elected officials pontificating about border security? Listening to the litany of Republican congressman, Tea Party activists, and pundits like Governor Palin I have seen interviewed over the past 4 days, it is as if the primary crisis on the border is one of security – all these children are getting across the border. As much of the nation was ensconced in celebrating “independence,” protesters blocked a bus transporting unaccompanied minors. I am horrified, disgusted, and ashamed of my fellow citizens. The humanitarian crisis at the border is not a political problem. It is not even an immigration problem. It is merely the latest instance of a global refugee crisis. These children are fleeing for their lives, they are refugees and we need to readjust our national discourse accordingly. 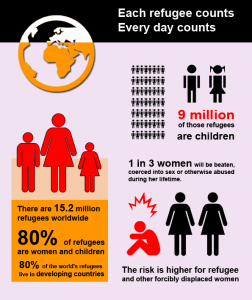 currently, the global refugee crisis is at an all time high – 9 million children globally. But the United States will shortly find itself as the only member state in the United Nations to sign but fail to ratify the document (South Sudan has begun the process and Somalia has stated an intent to re-commit). However, there are plenty of Conventions on Human Rights, Refugees, and so on to which we have committed ourselves and which demand that the treatment of refugees prioritize unequivocally the safety and well being of the children (not political concerns). For Catholic moral theology, it is quite simple. These children fleeing across our border are in the image of another child who was forced to flee political violence – the Infant Jesus. Shortly after his birth, Jesus, Mary and Joseph were forced to flee across the border into Egypt. Jesus of Nazareth was a child refugee. Jesus Christ is a child refugee. On Monday, I returned from a Vincentian pilgrimage. In 17century France, plagued by poverty and generations of constant war, children called “foundlings” were abandoned by mothers who could not afford to feed them. One of the earliest missions of St. Vincent de Paul was to organize homes for foundling children staffed by the Daughters of Charity and funded by the Ladies of Charity. An unpopular cause, no one wanted to bother with the foundlings – if even their mothers do not care for them, why should we? In response, St. Vincent created foundling homes named for the Infant Jesus reminding everyone that these children were the Infant Jesus in their midst. Jesus Christ is alone, afraid, and in need of care. When a group of ladies questioned continuing to pay for the foundlings – it was expensive, how long were they expected to pay? St. Vincent listened to their concerns and responded pointedly – a child can die two ways; through murder or by refusing to feed him. Like Moses’ mother Jochebed, mothers in Honduras, El Salvador and Guatemala feel they have no choice then to send their children down the Nile and pray for their safety. The fate of thousands of refugee children in our community are at stake – American Christians need to lift up our voices and like Sacred Heart parish change the conversation. As Christians and as Americans the choice is clear – to live up to our ideals and welcome the oppressed yearning to break free or betray the very core of our community and return children to a situation of immense suffering and danger and possibly death. It is their lives at stake and it is our soul. American soccer fans couldn’t help but cringe when the US Men’s National Soccer Team was defeated by Belgium last week and was sent back home from Brazil. A part of me was secretly hoping that this would be a historic World Cup in which the US would go farther than it ever had before in a World Cup, maybe even winning the championship. And yet this was not the only important skirmish our country was facing on that Tuesday. Another skirmish was taking place in the small town of Murrieta, outside of San Diego, foreshadowing a looming social war in our country that will determine not just our country’s immediate future in regards to immigration, but more importantly whether we will continue to uphold the traditional American values that have meant so much to our country’s history. On this day, hundreds of protesters met in Murrieta to stop a bus load of immigrant children who were coming from Texas in order to get processed in a facility in California. The White House estimates that upwards of 90,000 immigrant children, mostly traveling alone, will enter our country without proper documentation before the end of the year. Chanting “No more illegals” and expressing the fears that “They will take our jobs,” these protesters—many of whom were Tea Partiers and minutemen—made children (some as young as 4) feel like criminals for doing something that their parents hoped would give them escape the dreadful violence that threatened them in their home countries. Now that we have just celebrated the national independence of our country, it seems like a good time to reflect on this skirmish and the choice it presents for our country. For we can choose to uphold the traditional Christian value of compassion and generosity that our country has upheld at its best moments, or we can choose to opt for the values of fear and nativism displayed in the darkest periods of our nation’s history. We can either welcome these children with open arms or we can reject them by deporting them and condemning them to inevitable suffering and possibly death. I humbly contend that the rejection espoused by the anti-immigrant protesters at Murrieta is both un-American and utterly un-Christian. When one reads over the stories of our American heroes in World War II, the Freedom Riders who risked their lives to confront the evil of segregation, or countless other stories of American heroism, it becomes clear that compassion and care for those most in need is as American as apple pie. It is America at its finest. Jesus himself, whom many of the protesters claim as their Lord and Savior and spend Sundays praising and worshiping, is pretty clear about how children should be treated. In Matthew 19:14, Jesus says, “Let the children come to me, and stop keeping them away, because the kingdom of heaven belongs to people like these.” In rejecting these children, protesters and any who are like-minded are failing to see that their faith is intertwined with compassion for those most in need, including migrants. There can be no compassion in this rejection, and it is quite honestly embarrassing to see Christians embracing this type of nativism. On top of being both un-American and un-Christian, this type of nativist rhetoric also denies our country’s rich immigrant history. In rejecting immigrants today we reject the legacy of our immigrant forefathers and ignore the true causes of our country’s greatness. Our nation’s diversity has long been a source of strength and has helped the United States to serve as a symbol of hope. I pray that just as we saw fireworks filling our skies on the fourth of July and took pride once more in how far we have come as a country, our hearts might also expand to take into consideration the lives of the thousands of immigrant children who wait anxiously with tired eyes and backpacks full of dreams for the day when the beacon held by lady liberty will shine brightly once again. For these children, willing to walk hundreds of miles and encounter countless obstacles, still believe in the best of what the United States can be. But it remains to be seen whether we will choose to espouse the ideals of opportunity and care or whether we will succumb to the voices in the shadows pushing us into the dark crevices of fear. 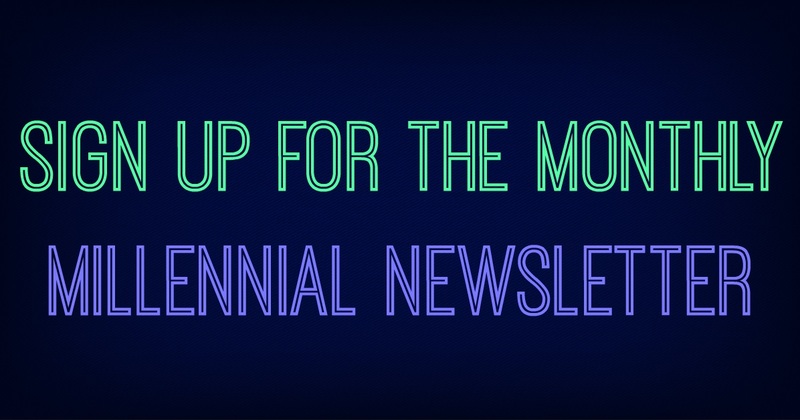 Carlos Rodriguez is a devout Catholic in his mid-twenties trying to make sense of his faith and his desire for more justice, especially for urban communities around the world. During Holy Communion, O’Malley, his brother bishops and priests reached across the border fence to distribute hosts to Mexicans on the other side. The message communicated here was unmistakable. The Eucharist is the source and summit of the Catholic faith. We believe that God’s full reality in Jesus Christ is made manifest in it. So in this profound act, the bishops reminded us that in Jesus Christ, there are no borders. The full text (via the Archdiocese of Boston) of Cardinal Sean O’Malley’s homily at the #BorderMass for immigrants and immigration reform earlier today is below. Cardinal O’Malley and his brother bishops are right: our current immigration system is a moral calamity that denies aspiring Americans their rights and dignity as children of God. Scripture tells us that God will judge the nations by how they treat the most marginalized in their midst. Knowing this truth, we pray that God’s spirit will animate our leaders in the United States Congress and that we will be a nation where all are welcomed and where every aspiring immigrant is treated as a child of God and a brother or sister. For 20 years I worked in Washington D.C. with immigrants from El Salvador, Guatemala, Nicaragua and from all over Latin America. The vast majority did not have the advantage of legal status. Many came to the States in great part fleeing the violence of the civil wars in Central America. I often share the story of my first days at the ‘Centro Católico’ when I was visited by a man form El Salvador who sat at my desk and bursts into tears as he handed me a letter from his wife back in El Salvador who remonstrated him for having abandoned her and their six children to penury and starvation. When the man was able to compose himself, he explained to me that he came to Washington, like so many, because with the war raging in his country it was impossible to sustain his family by farming. So a coyote brought him to Washington where he shared a room with several other men in similar circumstances. He washed dishes in two restaurants, one at lunchtime and one at dinnertime. He ate the leftover food on the dirty plates so as to save money. He walked to work so as not to spend any money on transportation, so that he could send all the money he earned back to his family. He said he sent money each week, but now after six months, his wife had not received a single letter from him and accused him of abandoning her and the children. I asked him if he sent check or money orders. He told me that he sent cash. He said: “Each week I put all the money I earn into an envelope with the amount of stamps that I was told and I put it in that blue mailbox on the corner.” I looked out the window and I could see the blue mailbox, the problem was it was not a mailbox at all, but a fancy trash bin. This incident helped me to glimpse the hardships and humiliations of so many immigrants who come to the States fleeing from poverty and oppression, seeking a better life for their children. Sadly enough many immigrants spend years without the opportunity to see their loved ones. How many rural areas are peopled by grandparents taking care of little grandchildren because the parents are off in the United States working to send money back home. Many of the priests and bishops with me have much more experience of the border. However I did bury one of my parishioners in the desert near Ciudad Juárez who was murdered there. We know that the border is lined with unmarked graves of thousands who die alone and nameless. Today’s Gospel begins with a certain lawyer who is trying to test Jesus. The lawyer is an expert in the laws, but he is hostile to Jesus; he seems to want to know how to attain eternal life, but his real intent is to best Jesus in a public debate. Jesus responds to the man’s question by asking “What stands written in the law?” The lawyer answers artfully with the great commandment: love of God above all else and love of neighbor as oneself. Jesus says “You answered correctly. Do this and you will live.” God’s love and love of neighbor is the key to a good life. The amazing thing about the Gospels is how love of God and love of neighbor are intimately connected. The lawyer is a little embarrassed so he asks another question to appear intelligent and perceptive. The question is so important: “Who is my neighbor?” This wonderful question affords Jesus the occasion to give us one of the great parables of the New Testament – the Parable of the “Good Samaritan”. In Jesus’ day the term “Good Samaritan” was never used by the chosen people. Indeed it would seem a contradiction of terms. How could someone be both a Samaritan and good? The Samaritans were the despised foreigners, heretics and outcasts. Yet Jesus shows us how that foreigner, that Samaritan, becomes the protagonist, the hero who saves one of the native sons who is rescued not by his fellow countryman and coreligionists but by a stranger, an alien, a Samaritan. Who is my neighbor? Jesus changed the question from one of legal obligation (who deserves my love) to one of gift giving (to whom can I show myself a neighbor), and of this the despised Samaritan is the moral exemplar. Jesus is showing us that people who belong to God’s covenant community, show love that is not limited by friendship and propinquity but a love that has a universal scope and does not look for recompense. The parables function either to instruct or to shock. This parable was to jolt peoples’ imagination, to provoke, to challenge. The usual criteria for evaluating a person’s worth are replaced by that of unselfish attention to human need wherever one encounters it. We come to the desert today because it is the road to Jericho; it is traveled by many trying to reach the metropolis of Jerusalem. We come here today to be a neighbor and to find a neighbor in each of the suffering people who risk their lives and at times lose their lives in the desert. Pope Francis encourages us to go to the periphery to seek our neighbor in places of pain and darkness. We are here to discover our own identity as God’s children so that we can discover who our neighbor is, who is our brother and sister. As a nation of immigrants we should feel a sense of identification with other immigrant groups seeking to enter our country. The United States is a nation of immigrants. Only the indigenous Native Americans are not from somewhere else. So the word of God reminds us today that our God wants justice for the orphan and the widow and our God loves the foreigners, the aliens and reminds us that we were aliens in Egypt. Because of the potato famine and political oppression, my people came from Ireland. Thousands upon thousands perished of starvation. On the coffin ships that brought the Irish immigrants, one third of the passengers starved. The sharks followed the ships waiting to devour the bodies of those “buried at sea”. I suspect that only the Africans brought on the slave ships had a worse passage. The hard work and sacrifices of so many immigrant peoples is the secret of the success of this country. Despite the xenophobic ranting of a segment of the population, our immigrant population contributes mightily to the economy and well being of the United States. Here in the desert of Arizona, we come to mourn the countless immigrants who risk their lives at the hands of the coyotes and the forces of nature to come to the United States. Every year four hundred bodies are found here at the border, bodies of men, women and children seeking to enter the United States. Those are only the bodies that are found. As the border crossings become more difficult, people take greater risks and more are perishing. 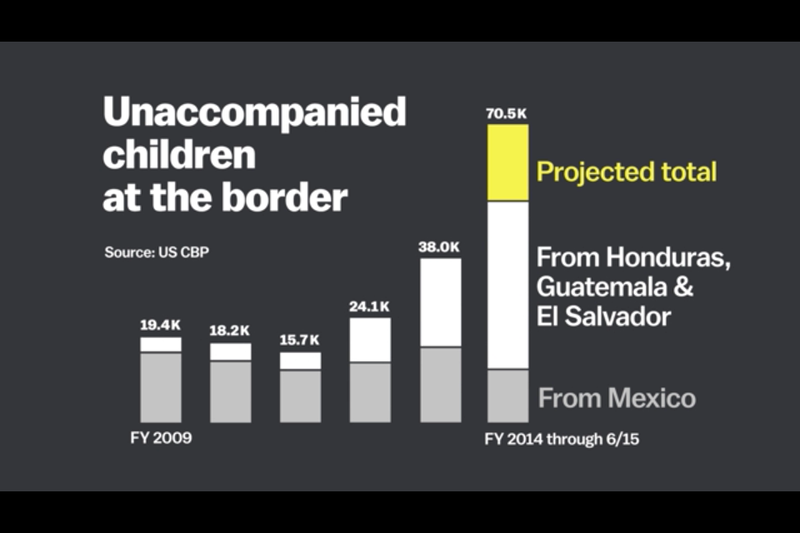 Last year about 25,000 children, mostly from Central America arrived in the US, unaccompanied by an adult. Tens of thousands of families are separated in the midst of migration patterns. More than 10 million undocumented immigrants are exposed to exploitation and lack access to basic human services, and are living in constant fear. They contribute to our economy by their hard work, often by contributing billions of dollars each year to the social security fund and to Medicare programs that will never benefit them. The author of Hebrews urges us to practice hospitality, for through it some have unknowingly entertained angels. He urges us to be mindful of prisoners as if sharing their imprisonment. We have presently over 30,000 detainees, most of whom have no criminal connections. The cost of these detentions is about $2 billion a year. The system is broken and is causing untold suffering and a tenable waste of resources, human and material. We find in those prisoners, neighbors, fellow human beings who are separated from their families and communities. The sheer volume of the cases has led to many due process violations and arbitrary detentions. Our country has been the beneficiary of so many immigrant groups that had the courage and the fortitude to come to America. They came fleeing horrific conditions and harboring a dream of a better life for the children. They were some of the most industrious, ambitious and enterprising citizens of their own countries and brought enormous energy and good will to their new homeland. Their hard work and sacrifices have made this country great. We must be vigilant that that lamp continues to burn brightly. Much like he used the pope’s words to successfully frame the income inequality debate last December, President Obama should again go back to Francis to restart the immigration reform debate in Washington.